Black families bought property in the Bedford Hills along the Long Island Railroad in the 1830s. They subdivided the land and sold lots to other black families. Weeksville featured “a fine, tasteful schoolhouse” and several churches. 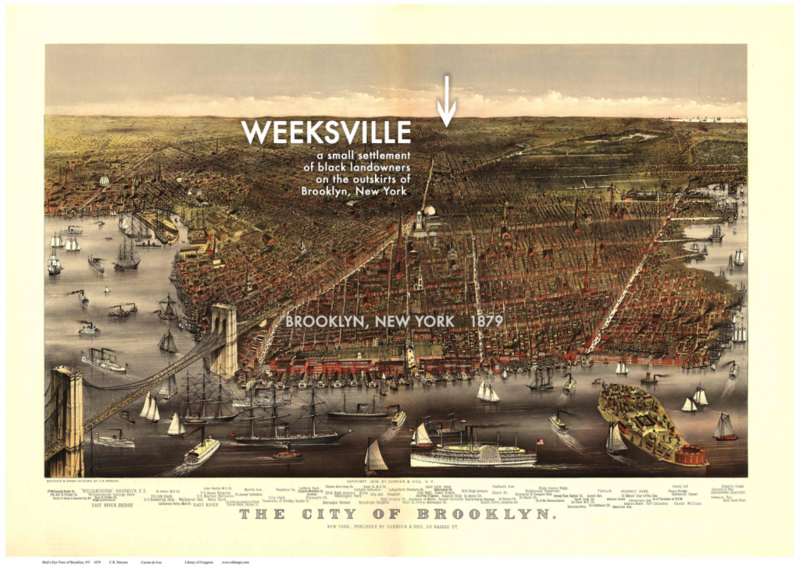 Like many black settlements across the country, Weeksville was absorbed around the 1890s by its neighbors — first by Brooklyn, then by the city of New York. Learn more about the preserved Hunterfly Road Houses and the Weeksville Heritage Center here. I’m a historian working on a set of research projects about race, real estate, and inter-generational family wealth. I’m not employed by the Heritage Center but I keep in touch with the staff; we collaborate when possible. See a brief Q & A about historic Weeksville here. 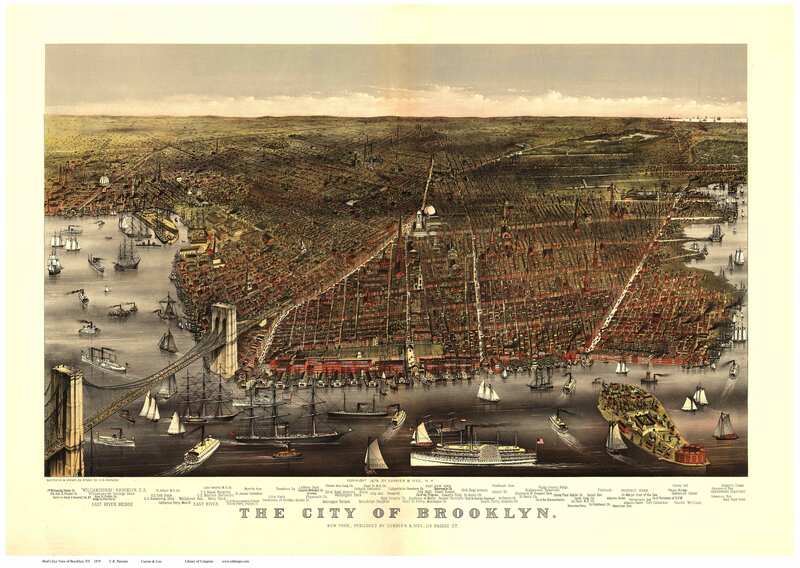 Explore historic maps of Weeksville and Central Brooklyn here. Learn more about my other projects here. Weeksville descendants, please get in touch! I’m delighted to facilitate connections and/or help with family research if I can. For detailed information about Weeksville see Judith Wellman’s 2014 book, Brooklyn’s Promised Land: The Free Black Community of Weeksville, New York. See higher resolution of this Currier & Ives print here.